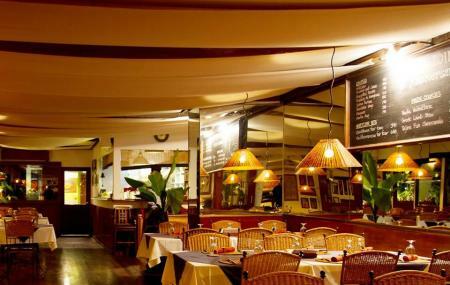 If you are in Bangkok and craving for some French delight, Crepes & Co Langsuan is just the right place to dine-in. Operating since 1996, this French restaurant has been serving a mix of food options to suit everyone’s palate. A great place to visit with family or a group, if you want to enjoy a slow lazy brunch on a weekend, try the brunch menu which is highly recommended. The environment is cosy, and the waiter are friendly. Representing Bangkok’s rich culture and home-style eatery spot, this place is much-loved by locals and expats alike. If you are there, try dishes that are inspired by the Greek and Spanish cuisine, and definitely crepes which is the signature dish. How popular is Crepes & Co Langsuan? People normally club together Krung Thon Buri Bts Station and Super Rich 1965 while planning their visit to Crepes & Co Langsuan. The food and service here are amazing. Definitely worth a visit while you're in town. And if you live here, you owe it to yourself to eat here at least once or twice a week for me. I know I would. Almost missed this little treasure. Off the main road, this restaurant serves five star cuisine with five star service. Perfect for breakfast or any other meal. I'll be coming back next time I'm in town! Unique menu choices. I loved this scrambled eggs with quinoa and bruschetta avocado toast. It was convenient walking from the embassy. The staff was superb and the owner (Im assuming) even checked in to see how my breakfast was. Excellent brunch! The menu is huge! Confusing almost. But the crepes are yummy the staff very pleasant and it's got a great family atmosphere. Good choice for typical Sunday vibes, breakfast/brunch.